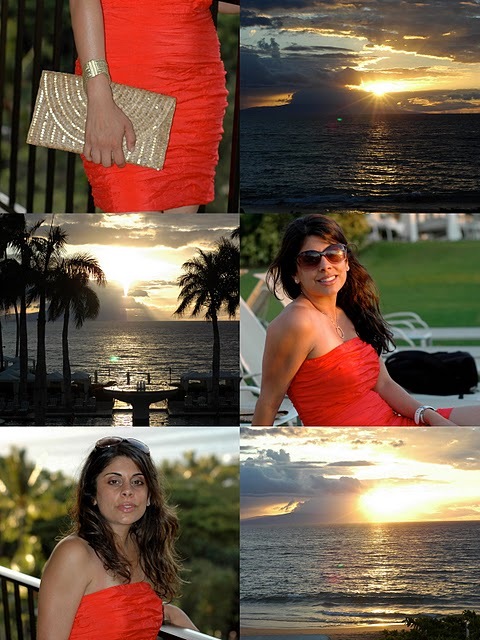 Recently my posts have been about my vacation in Maui, corals, and sequins. I figured this collage kind of brings it all together. This beige straw woven flap clutch is from Calypso and the coral dress is from 344 Newbury. What I love most about this clutch is that it matches almost everything I brought on vacation. I love packing light and it's great when I can use one evening bag with all my outfits. Even though Hawaii is so far from home, we absolutely love vacationing here and we keep coming back! I love the clear blue water here and every sunset is gorgeous and different from the next. We literally plan our entire day and evening around the sunset. Do you have a favorite vacation spot you like to visit over and over again?